I am writing 100 posts in 100 days. Every tenth post I do a little reflective report on the prior ten posts. The goal of writing every day was to force myself to actually write things. Beyond captions for my photos. And ideally my writing would be witty and educational. My fashion post was probably my favorite of the last ten. But I forgot to make some key points on fashion. Like about how I am a milliner. I made the hat. Ok, I crocheted it. I’m not really a milliner. And my thoughts on Fashogs. Fashogs=fashion blogs (until I can come up with a better neologism for them). So maybe there will be on “On Fashion: Part Deux” or maybe not. It seems whenever I say I’m going to write about something, I then avoid the subject like the plague. Take my apocalypse hat. I took pictures of each stitch and started step by step instructions and my poor crochet-lusting readers are holding their breath, yarn and hook in hand with (much) less than a yarmulke to show for their efforts (and patience)! But fear not, there will at least be a lesson on pom pom making. Or have I now cursed it away? In October…My favorite month of the year…I wrote of haunted gingerbread castles to come, foraging for paw paws and other native edibles, and those things never did materialize in print (doesn’t “in print” sound so much better than “on screen”?) and instead I just took a week off from blogging. So I’m not going to predict what I will write about in the next ten posts. I’m going to focus on improving my writing style. Because the best writers can write about their dog sneezing or the funny thing that happened on the way to the post office (or wherever) and the story is wildly entertaining. Then I’ll need only inject a few doses of obscure references, tips or trades and voila: amusing and educational. 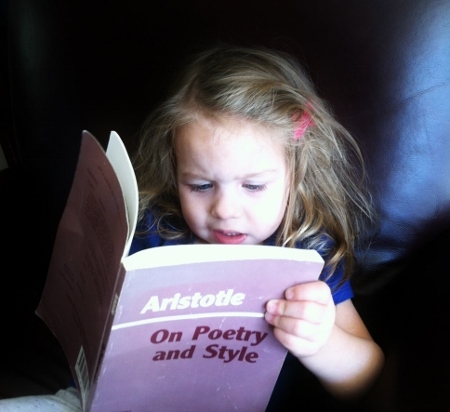 Baby suggested I consult Aristotle on the matter. Diction, to be good, should be clear without being common. Such inappropriately poetic language is both ridiculous and frigid: its verbosity also makes it obscure; the accumulation of words which add nothing to the sense beclouds what lucidity there is. What Aristotle is trying to say, baby, is that you can use a thesaurus and fancy up your words, just do it sagaciously. The poet, like the painter and other makers of images, is an imitator, the object of his imitation must always be represented in one of three ways: as it was or is, as it is said or thought to be, or as it ought to be. I am a maker of images and sometimes I have no object of imitation at all. I could continue with more thoughts for and against Aristotle’s musings but it’s getting a bit heavy for a Friday night. These things the poet must keep in mind. 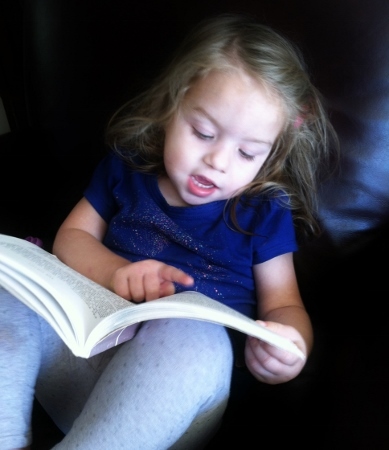 This entry was posted in Blogging, Humor, Parenting, Poetry, Writing on November 8, 2013 by Spy Garden. Great idea to use baby as a prop by the way, she is very photogenic and pliable and you can get some of that education stuff into her nice and early in the name of padding posts. Sadly, I have no baby to utilise for my posts and must shamelessly utilise the dog for my nefarious (lazy) purposes. Sometimes I think my dear constant readers only visit my blog to see the dog! 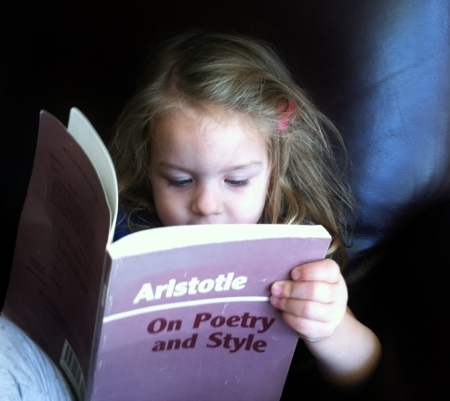 Yeah its never too early in life for Shakespeare or Aristotle. Haha Dogs make excellent props too! 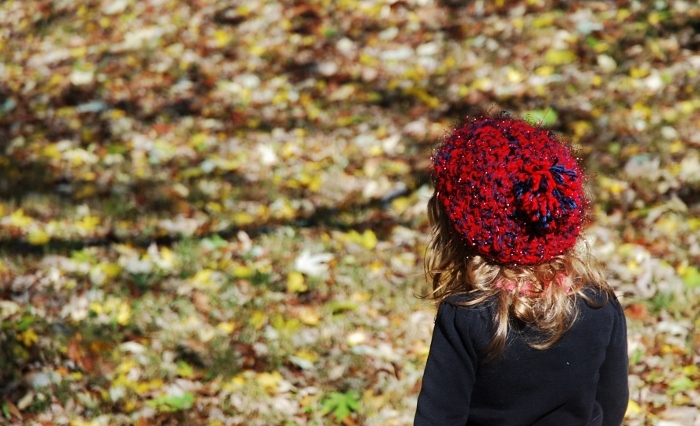 As much as I like writing, I find I am always drawn to the visual as well, so I want to comment on your first photo of Baby walking in the leaves. The out of focus background in yellows, browns with a touch of green, is such a striking backdrop to the clear, red dollop of hat – there’s something about this picture that draws the eye. It made me pause, taking it in. Your posts always make me smile and sometimes laugh right out loud, thank you!